The financial issues faced by American expatriates differ from those of Americans living in their home country in certain very important respects. Investment account management, taxation, estate planning, currency transfers and hedging, as well as global investment diversification are important considerations for US citizens living abroad and only a financial advisor that specializes in such issues will be able to help. At IAM we understand expatriate issues because our advisors have many years of expat experience themselves and because IAM has always specialized in American expatriate clients. We are members of a global network of financial planners and have also developed a network of cross-border specialists in complementary financial fields such as taxation, insurance, banking, and estate planning, so that we can offer comprehensive cross-border financial services to our clients. We encourage you to arrange for a no-fee, no-obligation, consultation with one of our expatriate advisors to discuss your specific financial concerns. As today’s economic, financial and tax landscape becomes increasingly complex, an approach to investment management that considers your entire financial picture can lead to clearer and more confident financial decisions. That’s because every financial decision — from your investment choices to financing a home, saving for retirement, funding a child’s education, securing a comfortable retirement, planning your legacy or business planning — also carries important tax implications. Making financial decisions in a silo that ignores important components of your overall financial picture can lead to unintended consequences and ineffective outcomes. We believe all aspects of your financial picture should be given equal emphasis, including the impact of taxes on both short- and long-term financial decisions. Our philosophy is that you should be treated fairly and to give you the best chance for investment success. That’s the reason we believe in a holistic approach; a comprehensive approach to total wealth management. Why invest with us? A few people may stumble into financial security. 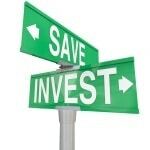 But for most people, the only way to attain financial security is to save and invest over a long period of time. You just need to have your money work for you. That’s investing. And we can help. Choosing someone to help you with your investments is one of the most important investment decisions you will ever make. We have a 360-degree view of your tax and financial picture. We can assess every aspect of your financial situation and develop a detailed strategy to help you pursue your goals. Before you get started, we can discuss what services we will provide you and at what cost. You, on the other hand, can remain focused on your career and family. We are committed to helping you reach your financial goals. Begin to experience the benefits of working with us by scheduling a complimentary review by completing the form below.